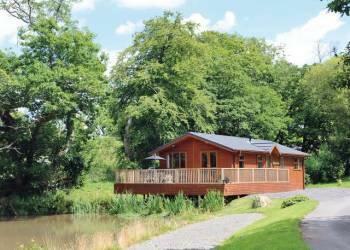 Herons Brook Lodges in Pembrokeshire sleeps between 2 and 6 people, with the accommodation being lodges. Heron’s Brook is part of our Autograph Lodge Holiday Collection, a select cluster of luxury lodges tucked away in a secluded idyll of tranquil woodland just a mile from the quaint market town of Narberth. A truly special location in Pembrokeshire’s beautiful heartland, this peaceful rural retreat offers a perfect escape from it all with an added touch of luxury at any time of year. Encompassed by mature gardens and boasting an 18-hole golf course, the luxurious lodges offer relaxation at completely your own pace. Unwind on the green, explore the treasure-chest of delights nearby, or simply soak up the blissful peace from the opulence of your own outdoor hot tub. Fringed by glorious beaches and peppered with harbour towns, castles and historic houses, Pembrokeshire unites its fascinating history with a strong contemporary vibrancy, hosting something for everyone. Nearby Narberth offers street cafés, galleries and boutique shopping, while walking, reflexology, horse-riding, cycle hire, sailing and the majestic coast are all close at hand. If you want to find out what other people have said about Herons Brook Lodges, read the reviews on Herons Brook Lodges for more information. And, for those last minute bargains, have a look at some of the special offers available at Herons Brook Lodges. "Brand new for 2014. 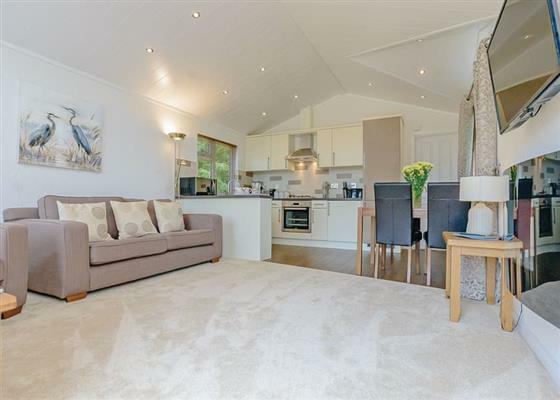 Stunning lodge furnished to the highest standard set in mature and beautiful gardens with fantastic views overlooking the golf course. One master double with roll top bath, walk in wardrobe and ensuite shower. Modern lounge/kitchen/dining area with vaulted ceilings with doors leading out to verandah with outdoor hot tub." "Brand new for 2018. 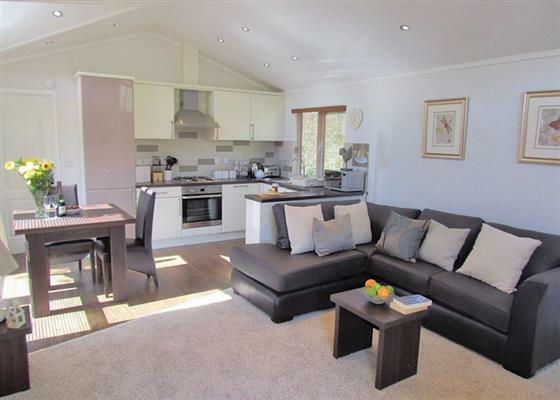 Stunning, well equipped lodge furnished to the highest standard set in mature and beautiful gardens overlooking the golf course. One master double with ensuite WC and one twin. Family bathroom with bath and overhead shower. Modern and spacious lounge/kitchen/dining area with vaulted ceilings with doors leading to verandah. Outdoor hot tub." New in 2011. Stunning lodge ideal for couples. One double with ensuite shower and one twin. Family bathroom. Contemporary styled living space including kitchen/dining area and spacious lounge with doors leading out to private verandah. Private outdoor hot tub. New in 2011. Luxurious lodge with one master double with ensuite shower and one twin. Family bathroom. Spacious open plan living space including stylish kitchen/dining area and lounge with doors leading out to private verandah. Adults only. Idyllic lodge nestled on a lakeside setting. One double and two twins. Family bathroom. Large open plan living area with modern kitchen/dining space and lounge with doors leading out to private verandah and views over the lake. Adults only. 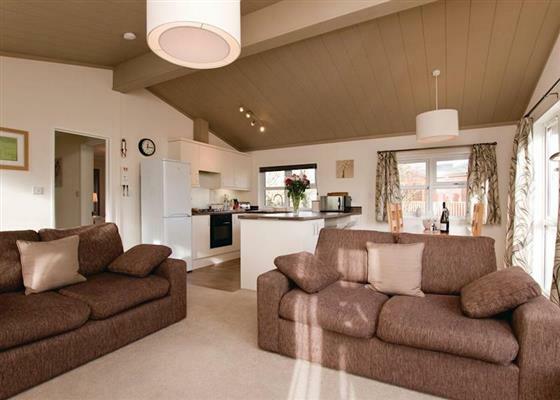 Find out about Herons Brook Lodges, including prices and availability. There aren't currently any special offers at Herons Brook Lodges however, the special offers shown below are all on parks within 30 miles of Herons Brook Lodges - so you may find these useful. Holiday at Pembrey in Dyfed starting on Saturday 27 April 2019 for 7 nights. Holiday at Tenby in Dyfed starting on Saturday 27 April 2019 for 7 nights. Holiday at Gilmore in Carmarthenshire starting on Saturday 27 April 2019 for 7 nights. Holiday at Dulais in Dyfed starting on Saturday 27 April 2019 for 7 nights. Holiday at Trimsaran in Dyfed starting on Saturday 27 April 2019 for 7 nights. Holiday at Trimsaran in Dyfed starting on Saturday 04 May 2019 for 7 nights. Holiday at Ammanford in Dyfed starting on Saturday 04 May 2019 for 7 nights. Holiday at St Catherines in Dyfed starting on Saturday 04 May 2019 for 7 nights. Holiday at Kiln Prestige 2 (Sat) in Dyfed starting on Saturday 25 May 2019 for 7 nights. Holiday at Kiln Deluxe 3 (Sat) in Dyfed starting on Saturday 25 May 2019 for 7 nights. Holiday at Kiln Prestige 2 (Sat) in Dyfed starting on Saturday 20 July 2019 for 7 nights. Holiday at Kiln Prestige 3 (Sat) in Dyfed starting on Saturday 20 July 2019 for 7 nights. Holiday at Penally Deluxe 3 (Sat) in Dyfed starting on Saturday 10 August 2019 for 7 nights. Holiday at Penally Deluxe 3 (Sat) in Dyfed starting on Saturday 17 August 2019 for 7 nights. 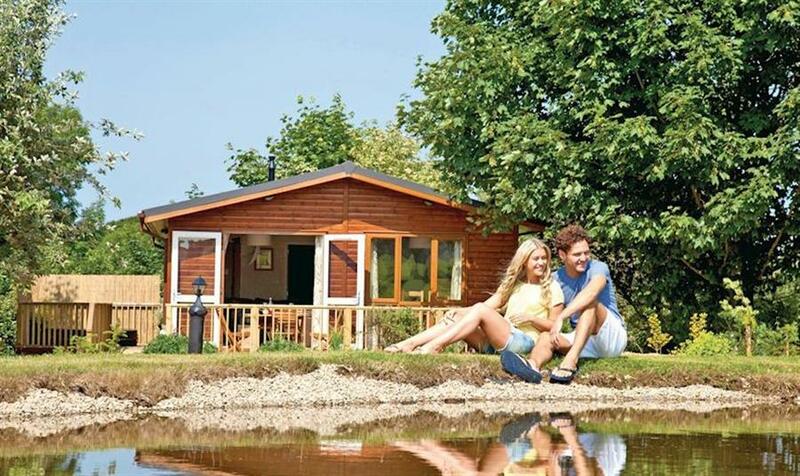 There are 48 holiday parks within 5 miles of Herons Brook Lodges. The Smithy in Carew, Pembrokeshire, and sleeps 10 people. 6 miles. Bwythyn Glas Y Dorlan in Llandeilo, Dyfed. 33 miles. Fern Cottage in Whitland, Dyfed, and sleeps 6 people. 5 miles. Maesoland Farm House in Laugharne, Dyfed, and sleeps 8 people. 11 miles. Little Newton Farm in Kilgetty, Pembrokeshire, and sleeps 12 people. 4 miles. Fron Rhydwen in Narberth, Pembrokeshire, and sleeps 6 people. 6 miles. Llwyn Celyn in Newport, Dyfed. 16 miles. Waters Edge in Dale, Pembrokeshire, and sleeps 6 people. 19 miles. Coedfryn in Llandeilo, Dyfed, and sleeps 8 people. 40 miles. Maes-yr-Adwy in Abergorlech, Dyfed, and sleeps 8 people. 32 miles. Henllys Lodge in Llandovery, Carmarthenshire. 43 miles. Bwthyn Y Mynach in Carmarthen, Dyfed, and sleeps 8 people. 25 miles. Mews Cottage in Tenby, Pembrokeshire, and sleeps 8 people. 8 miles. Tirmyndd Farm Cottage in Swansea, and sleeps 9 people. 31 miles. Pottre Farmhouse in New Quay, Ceredigion, and sleeps 8 people. 33 miles. Glandwr Country House in Cardigan, Wales, and sleeps 12 people. 26 miles. Murton Farm Cottage in Murton, West Glamorgan, and sleeps 6 people. 34 miles. Arosfa Emlyn in Newcastle Emlyn, Carmarthenshire. 22 miles. The Coach House in Lampeter, Wales, and sleeps 20 people. 39 miles. Llwyncadfor Farmhouse in Newcastle Emlyn, Wales, and sleeps 14 people. 24 miles. The Old Lighthouse in Haverfordwest, Pembrokeshire, and sleeps 10 people. 19 miles. Ysgubor Wen in Llanelli, Dyfed, and sleeps 10 people. 23 miles. Llwyncrwn Farm Cottages in Llandysul, Carmarthenshire, and sleeps 2) people. 25 miles. Dan-y-Glo in Swansea, West Glamorgan, and sleeps 10 people. 34 miles. Sheepwalks Cottage in Tenby, Pembrokeshire, and sleeps 8 people. 8 miles. Kingfisher at Maesydderwen Holiday Cottages in Llandeilo, Brecon Beacons National Park, and sleeps 10 people. 36 miles. Pendine Manor in Laugharne, Carmarthenshire, and sleeps 20 people. 9 miles. White House in Tenby, Pembrokeshire, and sleeps 8 people. 8 miles. The Dingle in Freshwater East, Pembrokeshire, and sleeps 12 people. 11 miles. Trecift in Cardigan, Pembrokeshire, and sleeps 10 people. 21 miles. Clifton House in Tenby, Pembrokeshire, and sleeps 12 people. 8 miles. St Brides Cottage in Saundersfoot, South Wales, and sleeps 6 people. 6 miles. The Gower Beach Loft in Three Cliffs Bay, Gower Peninsula, and sleeps 10 people. 31 miles. Bay View House in Saundersfoot, Pembrokeshire, and sleeps 10 people. 5 miles.